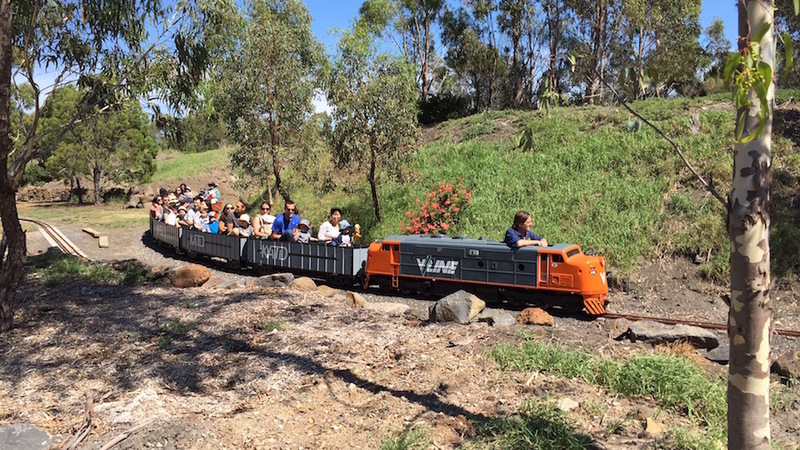 A miniature railway in Altona is providing families with a fun alternative to the daily commute, reports Matthew Donald. As a Metro train rattles along the railway line, bound for Werribee, it passes a block of land in the quiet streets of Altona North. On that block of land is another set of railway tracks on which a smaller train makes its way. It’s known as the Altona Miniature Railway, and the people involved in its running say they enjoy working at the railway for different reasons. “I’ve always loved trains,” said railway secretary Matthew Rawls-Allen. Rawls-Allen, who works at a local lighting manufacturer called Satelight Design, has also been a member of the railway for 17 years. He has had many voluntary roles during that stretch, including committee member, vice-president and now secretary. His has been a life-long passion. He even owns a miniature train engine that is used at the railway. “Mum said that I had a weird fascination with wheels, and I guess that fascination has just stuck with me throughout,” Rawls-Allen said. 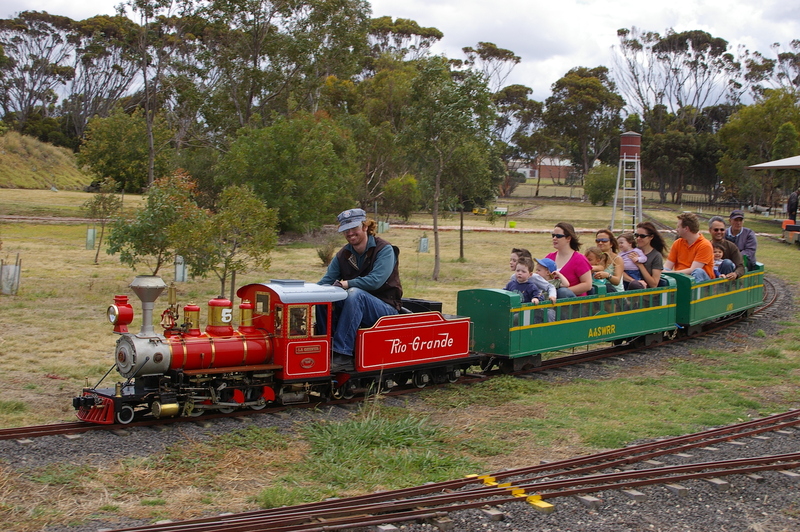 While Metro trains allow thousands of Melburnians to conveniently travel from Point A to Point B, the Altona Miniature Railway provides people with something different to the daily commute. The railway is open on the third Sunday of every month and is also available to use for private functions such as birthday parties. It hosts about 80 such events each year. The eight-minute journey is rife with twists, turns, tunnels, trees, shrubbery and hills throughout, all of which have been developed over time. But the tourist attraction wasn’t always thriving. “We founded the railway in 1976, but we didn’t actually own any land at that stage,” Rawls-Allen said. “Miniature railways already existed in places such as Diamond Valley, but we wanted to open one in the western suburbs. “When we started we just had a portable track that just went up and back, and we would take it to fairs, open days and any other special functions that wanted us. “The lease for this land wasn’t agreed on by us and the council until 1985, and there were a couple of trees on the edge of the land, and that was it. Since then, the railway enthusiasts have planted extensively across the land, laid over two kilometers of track, and have eight engines and dozens of carriages to accommodate customers. When the railway was first founded, there were just three members involved, but it now has over 60 – all of whom are volunteers. Rawls-Allen says that number hasn’t fluctuated greatly over the past few years, which has allowed the railway members to bond and establish themselves as almost a second family. 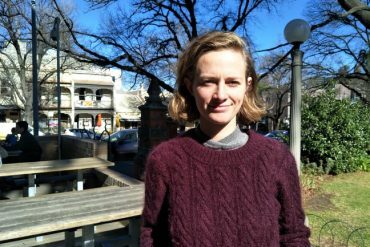 “This is more of a hobby club than an organisation,” Rawls-Allen said. “We have days when all the members bring their railway equipment, their families and we get the trains out and ride them. It’s great fun. However, at least one volunteer who doesn’t share this passion. Vice-president Neil Soutter, who joined the railway seven years ago, values the profound impact the railway has on local families in the community. “I brought my son down here one day. I can’t remember how I came across the place, but it seemed like a nice activity to do because it was just something slightly different,” Soutter said. “I thought it was a great environment for kids to be involved in and was a good outdoor activity, but I noticed that the place could probably have done with a bit of a tidy. “I really liked what they were doing, so I decided to volunteer. Just simple jobs like mowing the lawns and maintaining the plants and such. Fellow railway member Dennis Lee has only been a part of the railway for a year, but he shares similar views to Soutter. “I like being here for the community,” Lee said. “It’s a nice place to be involved with and whenever we’re open, you always see lots of kids here with smiles on their faces looking really happy to be here. Despite all the positives that emerge from a place such as this, Rawls-Allen says that are still issues that can make things difficult at times. “Money is an issue for us, absolutely. “Our entire revenue comes from gate receipts, and if it’s raining on one of our open days, then we instantly lose one-twelfth of our yearly revenue from open days. “And with a lack of money, it means we normally have to focus on one project at a time – we literally can’t do three or four things at once.